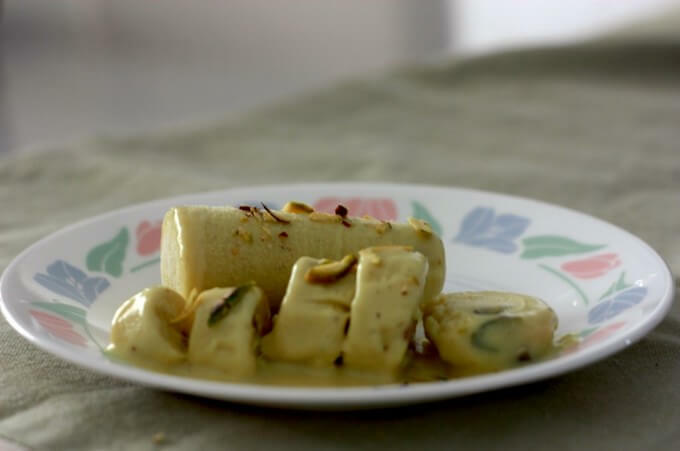 Creamy, soft, delicious… Kulfi is an Indian ice-cream made with milk and lots of dry fruits. 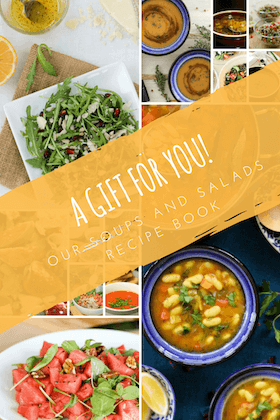 The milk is reduced to a very thick consistency and then flavored with cardamoms, saffron, and a whole array or dry-fruits like pistachios, almonds, and cashew. If you lived in a small town, you would for sure remember the bell of the ice-cream cart coming through the lanes on hot summer afternoons. In Jaipur, summer used to be especially hot and most of us would just be lying around the house until we heard the “ting, ting, ting” of the kulfi waala. All cousins would run outside with their little money and buy different flavors. My favorite used to be pista kulfi! The recipe is more than 20 years old, just like the way kulfi used to be made in olden times! These days, people often use condensed milk instead of taking the time to boil the milk over and over until it is well reduced. This recipe is without any condensed milk which is also the reason why the cooking time is so high as you need to boil the milk over a very low flame. 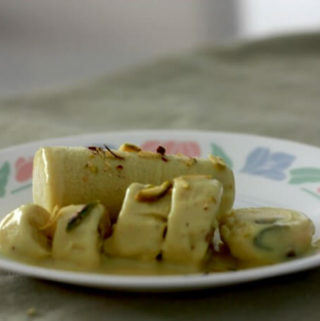 Creamy, soft, delicious… Kulfi is an Indian ice-cream made with milk and lots of dry fruits. The milk is reduced to a very thick consistency and then flavoured with cardamoms, saffron and a whole array or dry-fruits like pistachios, almonds, and cashew. Dissolve corn flour in another 2 tbsp of hot milk in a separate dish and add to the entire milk. Cool the mixture, add cream, saffron, cardamom powder, and half the dry fruits. Sprinkle chopped dry fruits from top in each mould. To serve, remove from freezer about 5 minutes before. Rub the mould between your palms so that the kulfi can easily be removed from the mould. Enjoy. Usually, a mix of dry fruits is added to the milk but you can also add fresh fruits like in this fresh figs and honey ice-cream or try a fusion twist like in this tahini ice-cream! After i prepared ,my kids taste it and they said wow its too delicious and tasty thnx for ur recipe. Nice…blog, Kulfi is most favorite in our childhood. Kulfi is to this day available on the streets of India from traditional street vendors. Sellers keep the frozen treat cold in a special ice and salt filled pot called a ‘matka’.Unlike the known ice creams sold in shops today, kulfi is denser and thicker on account of it not being churned.